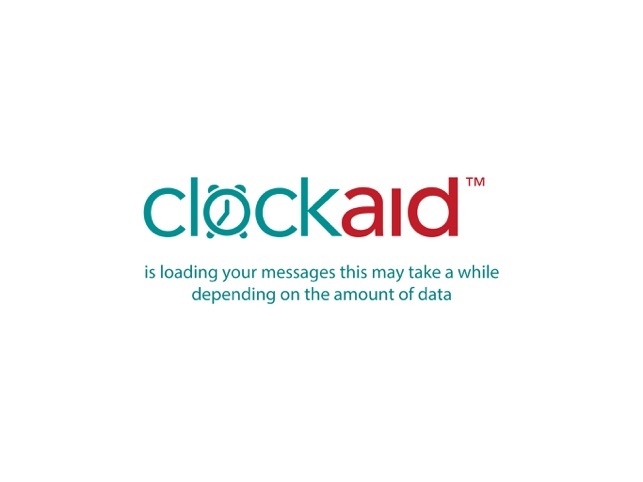 The Clockaid memory clock is specially designed for people with memory problems, beginning Alzheimer’s disease or dementia. 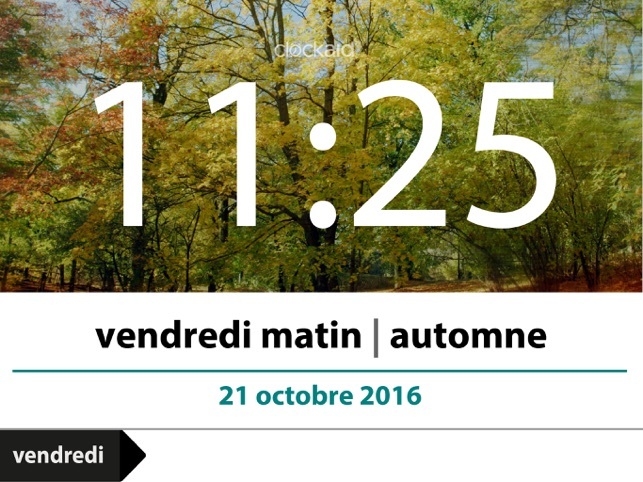 Clockaid provides a clear view on the time, day, and time of day, date and weather. The memory clock helps to remember the daily routine such as medicine intake, housework, but also visits arranged, or a favourite TV program. 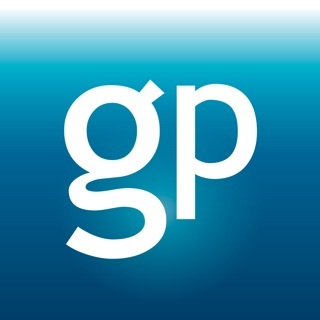 All that needs to be remembered can be entered directly on the tablet (Clockaid Notes) or remotely (Clockaid Connect), from any computer, tablet or smartphone. 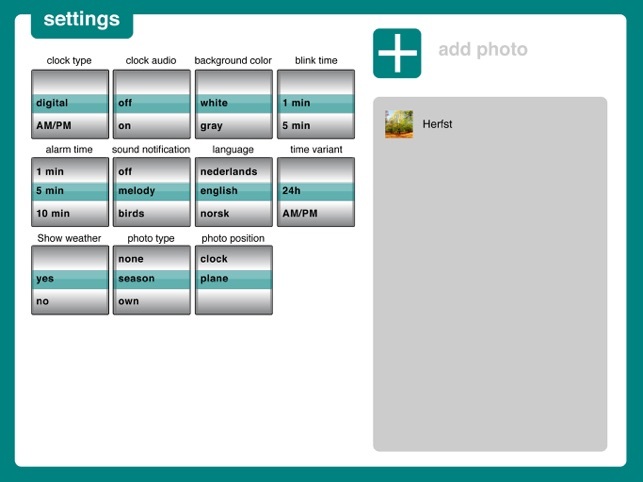 An 'alert' appears at the set time visually on the screen, if desired complemented by a sound signal. The use of the clock is very simple. 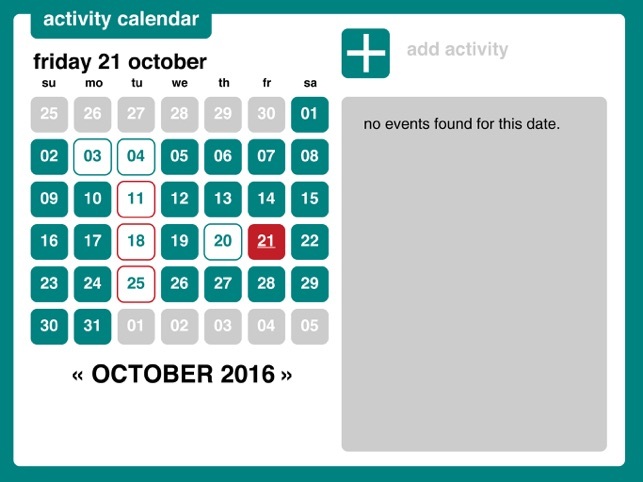 In designing Clockaid we have assumed that the (older) users themselves do not need to operate the tablet and that the calendar and ‘messages’ are taken care of by family and / or caregivers. 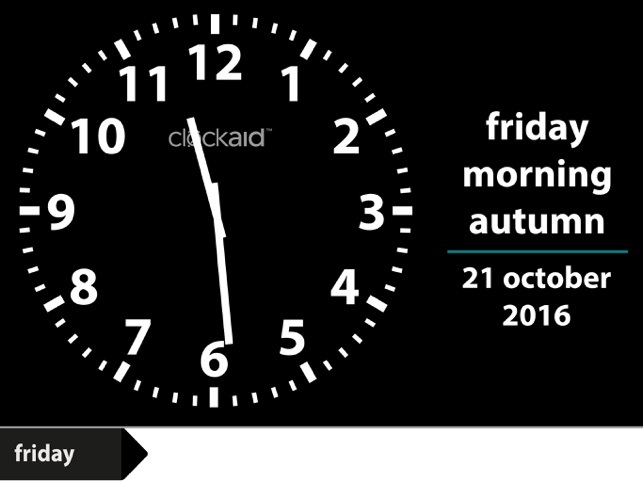 Clockaid is available in 3 versions without subscription fees.